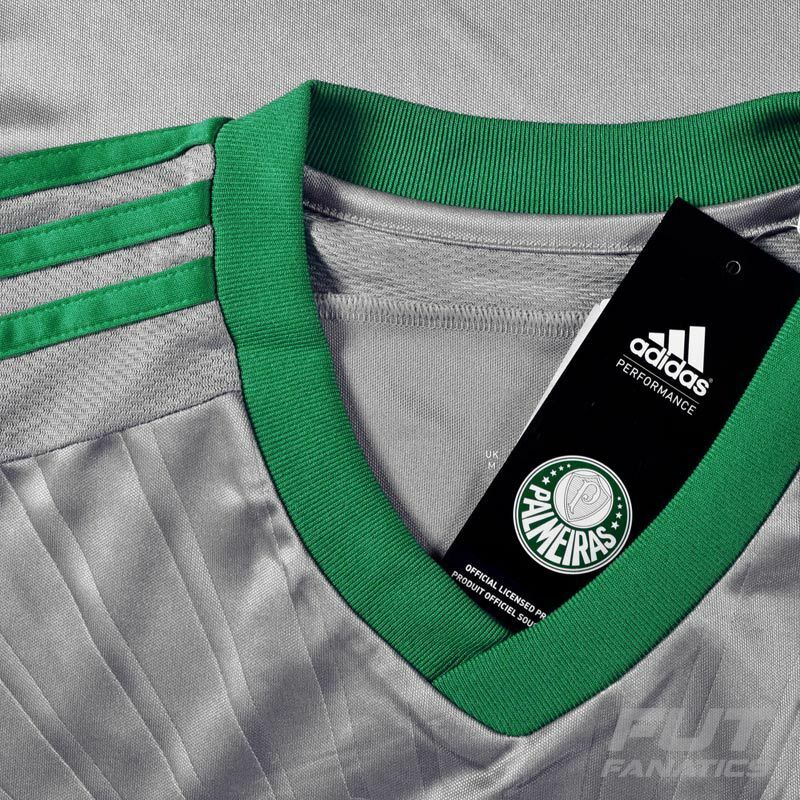 Adidas Palmeiras Third 2015 Jersey More info. 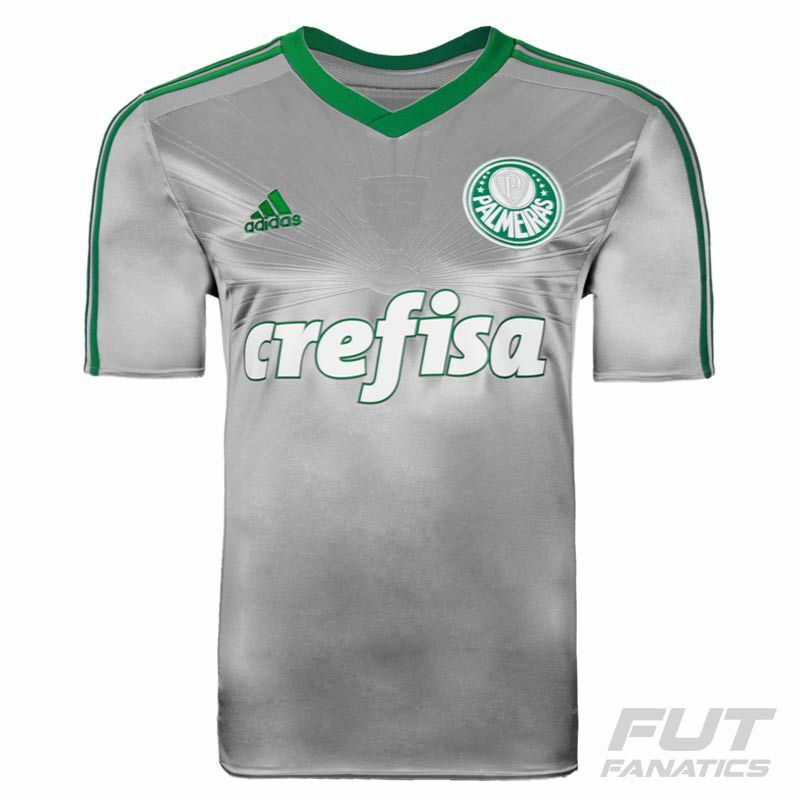 Predominantly silver, this Palmeiras Third 2015 jersey celebrates the 100th anniversary of the conquest of the first title of the club, the Savoia Cup in a friendly against Sport Club Savoia in the year 1915. The silhouette of trophy appears texturized in the chest area with rays. 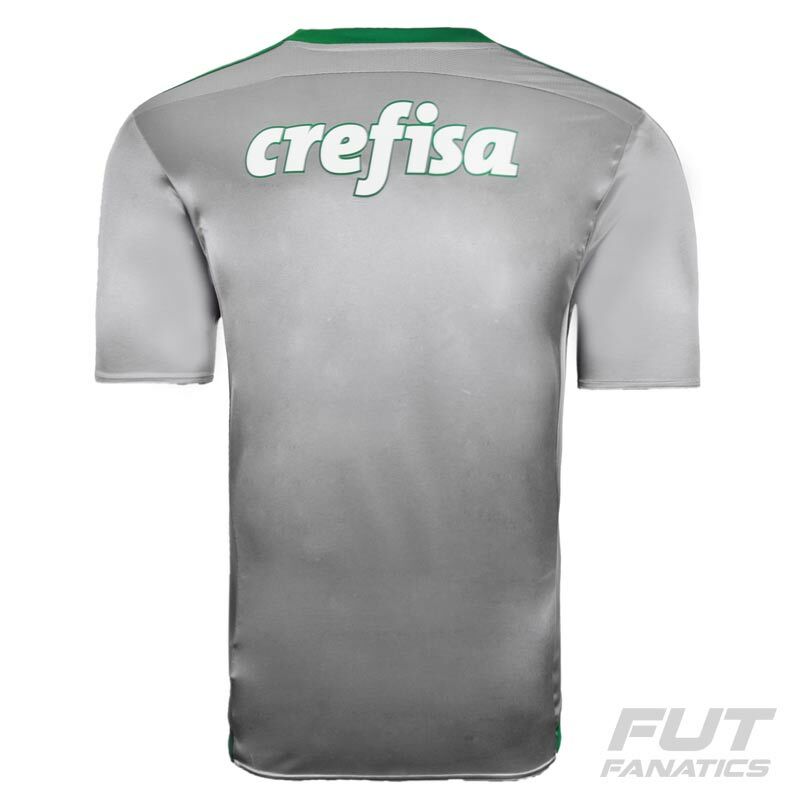 The new jersey also has green collar, cut in V, and green stripes of Adidas on shoulders. This replica jersey can be customized. Choose your favorite player or add your own name and fave number using the official font of the club.